One of the most prized game fish in the world, Atlantic salmon are heralded for their leaping and fighting ability. Although they were once native to Lake Ontario, they were extirpated from the Great Lakes before 1900. Named for their home range in the North Atlantic Ocean, these fish have been transplanted into the upper Great Lakes and a world-class fishery for them has developed in the St. Marys River. Though planted in the Boyne and the Au Sable Rivers as early at 1972, Atlantics did not flourish. The state has maintained a fishery in Torch Lake in Antrim County with stocked fish and some natural reproduction in the tributaries has been noted. 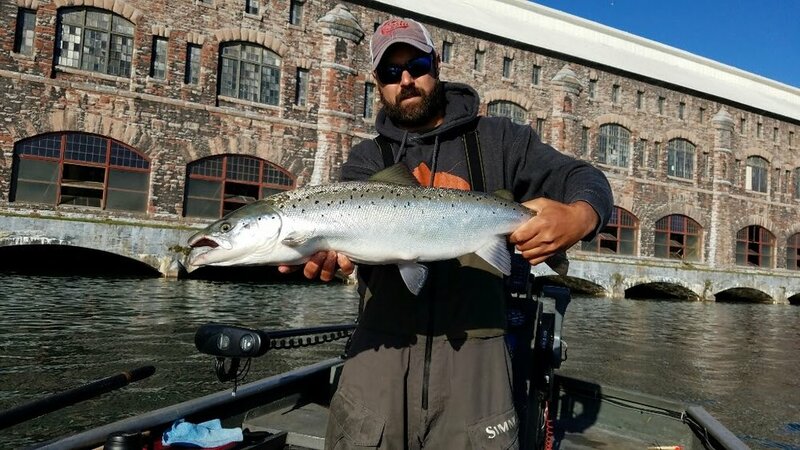 The fishery in the St. Marys River rapids is top-notch, by far the best recreational Atlantic salmon fishery west of the East Coast. It is maintained by an annual stocking program, run by Lake Superior State's Aquatic Lab in cooperation with the Department of Natural Resources. 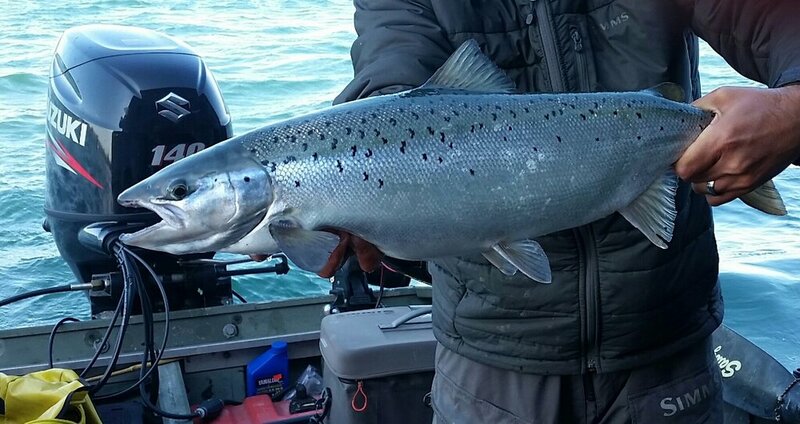 Our Atlantic Salmon fishing trips are during the months of July and August. Atlantic Salmon are hard fighting and very acrobatic when hooked. We pursue these fish using spinning, centerpin, and fly fishing gear. It is not uncommon to catch a variety of species while pursuing the Atlantic Salmon. Whitefish, Steelhead, Cisco, and Walleye are just some of the other species that are by-catch while fishing for the Salmo Salar.